Production Mail and Business System Automation! The SI1000 is the smart, affordable solution for preparing your outgoing mail. Today, more than than ever, it is important to work smarter to stay ahead. If you are currently hand folding and stuffing envelopes, the SI1000 desktop folder inserter is the solution for you. Prepare your outgoing mail fast, efficiently, and hassle-free without leaving your desk. The SI1000 is the ideal solution for smaller organizations or corporate departments that routinely create invoices, checks or newsletters, or send direct mail pieces. Get your routine mailing tasks done faster and more efficiently! 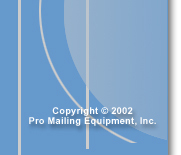 Automatically folds, inserts and seals up to 900 pieces per hour into a #10 standard or window envelope. Built for flexible performance, the Secap SI3300 folder inserter is an excellent solution for office environments and print shops. Easily complete all your mailings quickly and easily. Designed for low to mid-volume mailers, the SI3300 will fold, insert and seal up to 14 times faster than by hand, processing up to 3,000 pieces per hour. The SI3300 is available in two configurations, one sheet feeder and one insert feeder or two sheet feeders and one insert feeder. The SI3300 offers users three automation solutions in one space saving design. It can automatically fold only, fold and insert, or fold, insert and seal mail into an envelope. Advanced features, high processing speeds, large loading capacity and programmable settings make the SI3500 desktop inserter an excellent choice for mid to high volume mailers. A versatile system that folds, inserts and seals a wide variety of applications automatically. The SI 3500 offers speed, accuracy, flexibility and dependability in addition to advanced automation features that speed the flow of communications to your customers. Easy to set-up and use plus it requires no special operator training. Processes up to 3,500 pieces per hour. 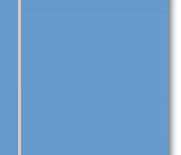 Versatile - great solution for bills or statements, direct mail and reply envelopes, and variable length documents with OMR. Trial piece on start of job makes certain set up is correct, maintaining mail piece integrity and saving you from costly errors. Saves time - up to 20 common jobs can be programmed. Prevents costly errors - built-in double-detection on all feeders, auto stop, clear deck and auto page separation. Invoices, Checks, Statement, Order Forms, Price Lists, Newsletters, Reply Cards, Return Envelopes, Letters, And More! The Secap SI4200 folding and Inserting system offers an advanced solution for mail piece integrity and optimizing your work flow. Multi page mail processing with variable inserts can be assembled in high volumes and it is an ideal machine for processing the insertion and sealing of letters, leaflets, inserts, reply cards, return envelopes, pre-folded and unfolded enclosures. 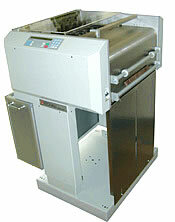 The SI4200 is available with 2-sheet feeders and 1-insertion feeder. Add the optional OMR reader for scanning & reading OMR marks to ensure increased accuracy and integrity of your mail pieces. The Secap SI4400 is a robust, high-speed production folding and inserting system that handles up to 4,000 pieces per hour. Ideal for processing the insertion and sealing of letters, leaflets, inserts, reply cards, return envelopes, pre-folded and unfolded enclosures for short production runs, mailing fulfillment houses, in-plant operations and mailrooms. The SI4400 is available in several configurations and can feature up to 4-sheet feeders and up to 2-insertion feeders, making even the most demanding mailing job manageable. The SI5400 provides the most advanced features and capabilities within our tabletop inserter line. The SI5400 utilizes a next generation user interface that is simple to read with a full color and intuitive LCD display and can memorize up to 24 different job settings enabling users to effortlessly switch applications and program repeat mailings for simple integration into the workflow process. The main feeder tower holds up to four interchangeable feeders and features a high capacity envelope feeder. The system can be configured with two optional high capacity sheet feeders with two trays each that will hold up to 1,000 sheets each. An optional envelope power stacker can be added to assist with handling the high output. Clear Deck function allows the customer to clear all the material within the transport area at the touch of a button at the end of each job. Load-on-the-fly capabilities allow the system to pause until new material is loaded, which increases productivity by not stopping the system during a job to refill the stations. For the highest level of integrity and security, optional advanced document scanning software is available. The SI5200 advanced features include a tower feeder that holds up to four interchangeable feeders and an optional high capacity sheet feeder is available with two trays that will hold up to 1,000 sheets each. The innovative modular tabletop design enables the SI5200 to be expanded or changed as business and communication needs evolve. The SI5200 utilizes a next generation user interface that is simple to read with a full color and intuitive LCD display. This system can memorize up to 24 different jobs enabling users with the ability to effortlessly switch applications and program repeats mailings for simple integration into the workflow process. This new system processes up to 38,000 sheets an hour printed two up. It processes both pinless and pin-fed forms. It runs online with conventional non-intelligent inserters providing up to 12 stations of selection and communicates serially with intelligent inserters. It is designed for 7 X 24 operations. It includes the latest anti-toner marking technology and a unique quick change accumulator for instant change over from over to under accumulation. It offers OMR line code, barcode, 2D Data Matrix, OCR and works with almost all 3rd party camera systems. File based inserting is possible as is output verification. Trade in your TOS (turnover sequencer system) for the real thing! Replace your Bell & Howell continuous form or cut sheet system inserting system with state of the art reading and processing technology at a minimal cost by re-using the inserter, accumulator, MBO folder and collector refurbished and equipped with state of the art reading and system control including the possibility of file based inserting and output verification. The FPF 35 Smart Feeder/Collector is designed to intelligently accumulate flat packs for mail production. The FPF 35 reads and collates up to 35, 20 lb. flat sheets at throughputs up to 40,000 sheets per hour, depending on set size and inserter cycle speed. The system has an advanced touch screen for operator programmable line code and barcode job set-up and recall. Self-Mailer Applications: Letters, Statements, Appointment Reminders, Promotions, Invoices, Payroll, Fund Raisers, Order Forms, Direct Mail, Checks, Vouchers, Discount Offers, Membership Cards, Return Labels, Coupons, Subscriptions, Invitations, Reply Slips, Product Literature, Leaflets, Quotations, Timetables, Benefit Booklets, Remittance Advice Slips, School Reports, PIN Notifications, Payments, Loyalty Cards, Postal Votes, Tickets and more. GBR's Mathias Bäuerle computer-controlled folder with hhs glue system provides an economical and versatile means of creating a one-piece self-mailer. The CAS 52 folder has the distinct advantage of automatic fold plate set-up and 60-fold job memory, ideal for quick fold job changeovers. The glue system can be turned off and the folder can be used for conventional fold jobs for your diverse application needs. GBR Systems' computer-controlled Mathias Bäuerle Multimaster CAS folders reduce set-up times by more than 50%, while providing easier operation and higher productivity than virtually any other folder on the market. At the touch of a button, the operator can switch from one fold type to another in less than a minute. The CAS folders surpass traditional folders with the distinctive feature of automatic fold plate set-up. There is no calculating fold lengths, no measuring of fold samples and no manual settings of the fold plates. You get a precise tight fold every time. GBR's Tecnau cutters are the latest in cutter technology, multi-programmable (99 jobs) and highly versatile. 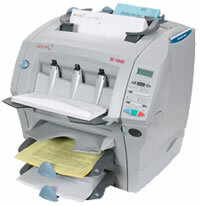 They can run off-line or on-line with IBM and OCE printers. Two outstanding features of the Tecnau cutters include: utilizes stepper motors eliminating the need to replace expensive clutches; the blade cartridge is stored in a special cassette and removable at operator level for minimal downtime. The Tecnau cutter 1050NF, which operates at a high-speed of up to 26,000 8 1/2" x 11" documents per hour, precisely single or double cuts for a variety of applications. The Tecnau cutter can run on-line or off-line and, for example, with a printer, a roll unwind, Tecnau slitter/merger and a Mathias Bäuerle CAS folder. These components are intelligently connected for on-demand start and stop capabilities. If a jam occurs in the folder, cutter, or slitter/merger, the printer will be signaled to stop, resulting in minimal waste and superior operator and production efficiency. Please contact us for all of your mailing needs.